Shown with gloss white fiberglass frame. The nabucco led is a central styling unit with 2 seating positions. It comes with a fiber glass frame in white, decorated in style "Marcel Wanders" and LED illumination. 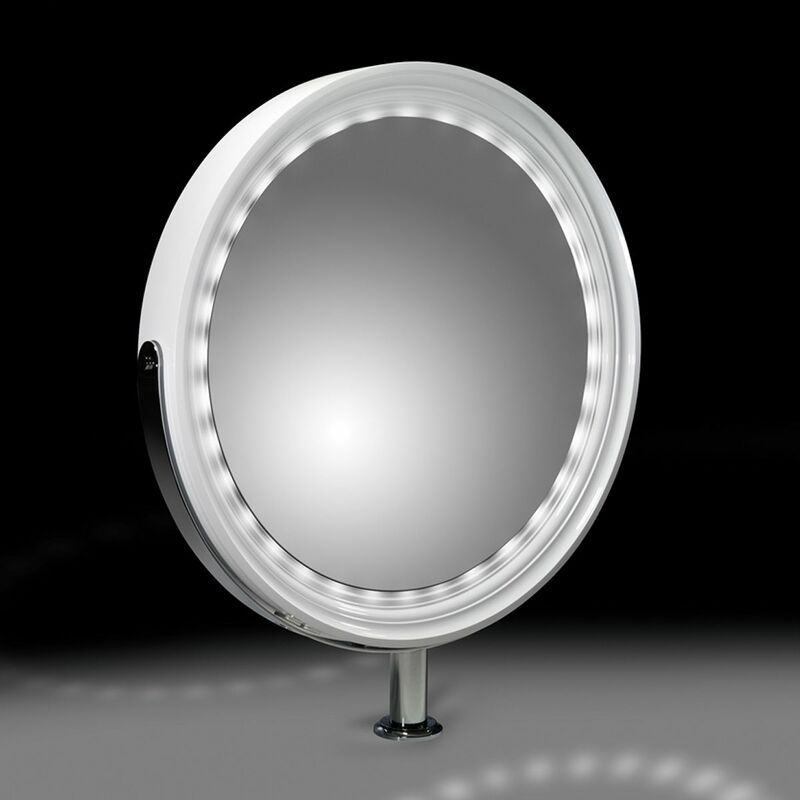 It has a large beveled round mirror, with a total diameter (mirror + frame) of approx 185cm. It also has a stainless steel support including 4 electrical outlets, Faboulous icon for prestige salons. Available in other RAL colours.